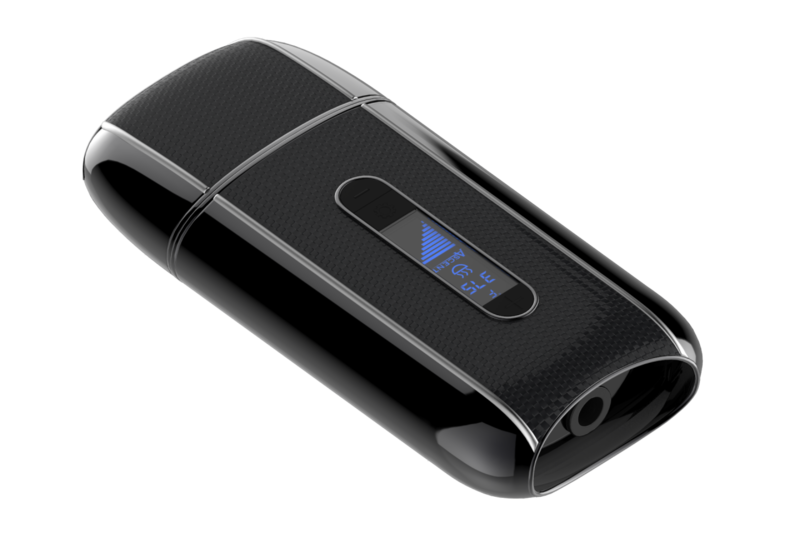 The Davinci Ascent is one of the best tested portable vaporizers in the world. 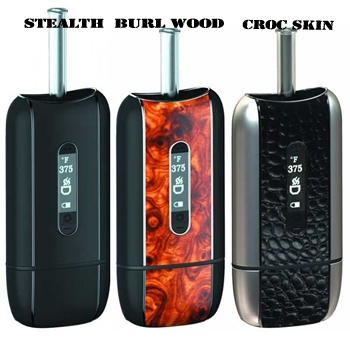 It is a highly discreet portable vaporizer and looks just like a cell phone. You can vape on the go and not have people breath down your shoulder second guessing what you're doing. You'll notice that the Ascent has a heavy feel to it when you first pick it up, you'll never forget it's in your pocket. The vaporization allows you to vape with purity and high quality and you will notice that you will be tasting the best vapor quality in the world. Using the ceramic heating element with an all-glass pathway, the Ascent is the perfect example of how a high quality unit should be used. It runs on two re-chargeable and replaceable lithium ion batteries that goes for over 4 hours of continuous use with the sleek and compact design it makes it perfect for vapor enthusiast to enjoy vaping at precise temperatures. 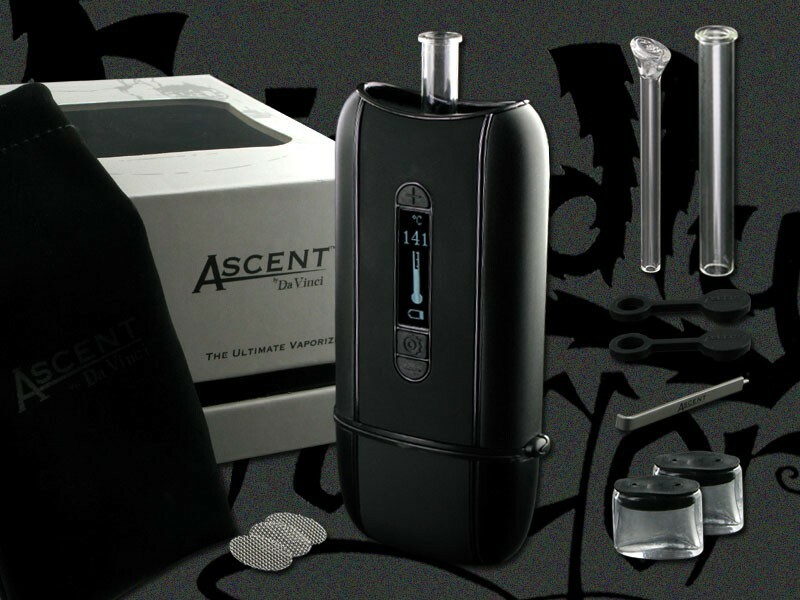 Ascent has unique materials built inside with all-glass air way you are guaranteed the best vapor quality in the world of portable vaporizers. Most vaporizers utilize glass and metal but the Ascent is glass and won't release any odors or other carcinogens that can be harmful to your health. 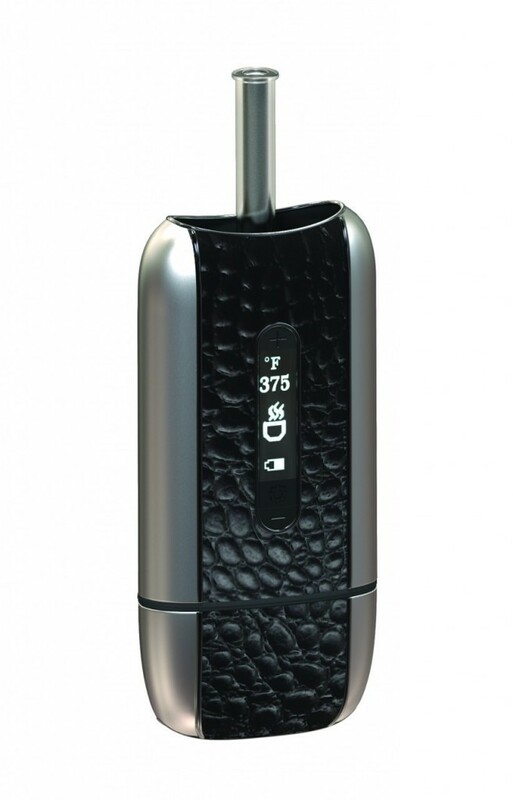 You are sure you get maximized efficiency and the best performance in the world for such a small portable vaporizer. 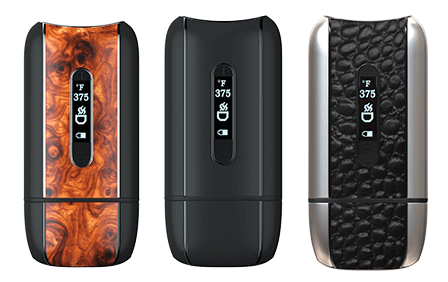 The perk is the fact the Davinci looks just like a cell phone and the thing even has a OLED digital display to show you precise temperature settings you specify the Ascent to custom heat at precise single digital temperature settings. This temperature is unheard of in the vaporizer industry for a portable and is the only vape that can do this in its class. The Davinci Ascent looks exactly like a cell phone which was the exact point Davinci wanted to make when creating the ultimate vaporizer. The Design is using the OLED display which will show you the temperatures that can reach over 430 degrees F. The Ascent uses carbon fiber or burl wood to straight up black. The glass mouthpiece will retract from the top of the unit, near the power button and stainless steel poker that's built into the Ascent. Vape with quality as you'll be pleased with the 100% glass that perserves the flavor and taste you expect an expensive vaporizer to output. 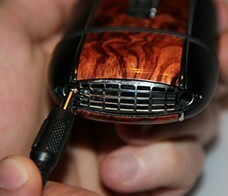 The predecessor vaporizer DaVinci Pocket Vapoirzer, has a really nasty plastic taste which is why it only costs $130. The glass inserts the Ascent uses are what holds the herbs and concentrates. You might want to buy an extra two glass inserts so yo can vape herbs, oils and waxes without the annoying clean. You'll notice in a matter of 60 seconds if you set the Ascent to 430F, it will reach these temperatures in seconds. it isn't that long to use it and the function also has a auto-shutoff feature that will kick in if the Ascent is being used improperly. The Ascent can reach temperatures of 38 – 430 degrees F.
Just like most smart phones adjust to your texting style and format, the Ascent does just that with its temperature control smart system. 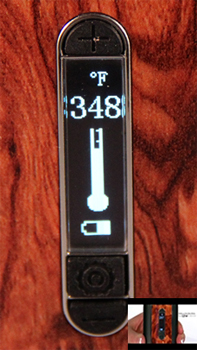 It has a unique temperature system, an example is if you set to 365° for 2 minutes and increase to 375° for 2 minutes and then can go up to 385° to finish your vaporization session up. It is the perfect, smart-vape out of all the portable vaporizers. This feature works to slowly raise the temperature which will turn the botanical into a crystallization which we call vapor. What type of materials can you vape with? 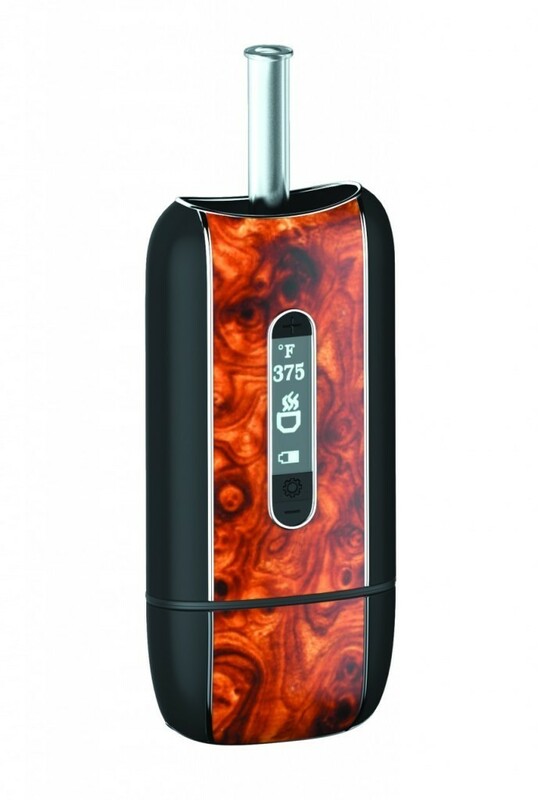 The Davinci Ascent is compatible with Herbs, waxes and oils. It has precise settings to be able to effectively vaporize whatever materials you must use it for your aromatherapy purposes. 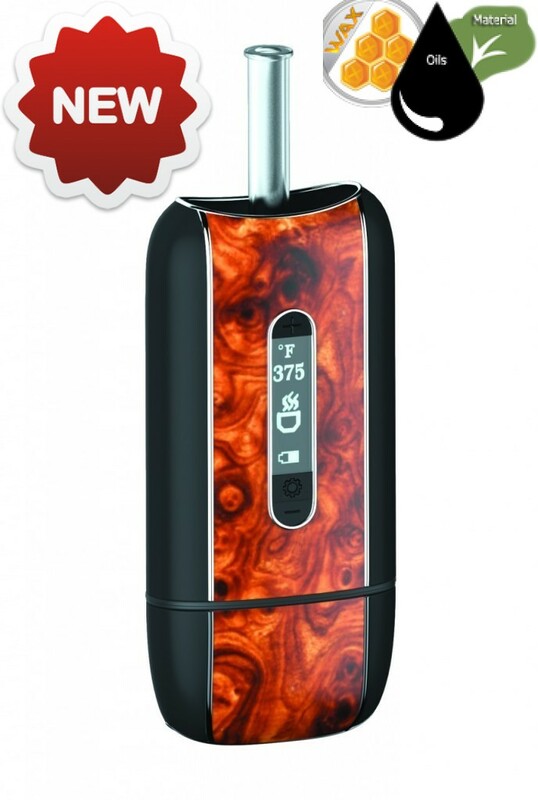 For $249.99, you get the best quality a vaporizer can hold. Vaping herbal products you would expect purified vapor production You'll notice the Ascent maintains the temperature you set it at within a range of 5 to 10 Degree range from the temperature you set it at. You should pull slowly and steady to get an even and thick draw to get the most out of eah bowl. When you do the math, the DaVinci Ascent will save you 9.2 grams of materials per ounce which ads up to over $165 a ounce of savings. 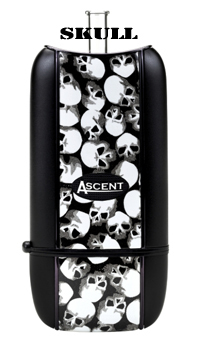 If you smoke an ounce in one week you'll pay yourself back the first month of using the Ascent. You'll notice you save a ton more materials when using the Davinci Ascent comparing to other vapes. Sure it is expensive and it costs $249.99, but wouldn't it be great to own the most discreet and best working vaporizer in terms of quality? You're paying for the workmanship, materials and craftsmanship. The Davinci Ascent was made in California and is by far the most discreet portable vaporizer to own since it looks exactly like a cell phone.. To have a full working portable vaporizer utilize glass on glass air flow is actually very rare. This add on helps if you want additional cooling and hydration. The standard 14mm or 18mm adapter replaces the mouthpiece stem. Using the straight adapter you have the chamber sit up against the screen and the Ascent would be angle down. To honestly say to our customer, you might not find the Water Tool adapter to be to beneficial since a lot of the herb contact wouldn't exist. But this isn't even a big issue at all, it's minor. U-Shaped Gong WPA will help you if you want the herbs to not be in direct contact with the heating chamber and against the glass screen with water pipes/filters that have a downward angle. 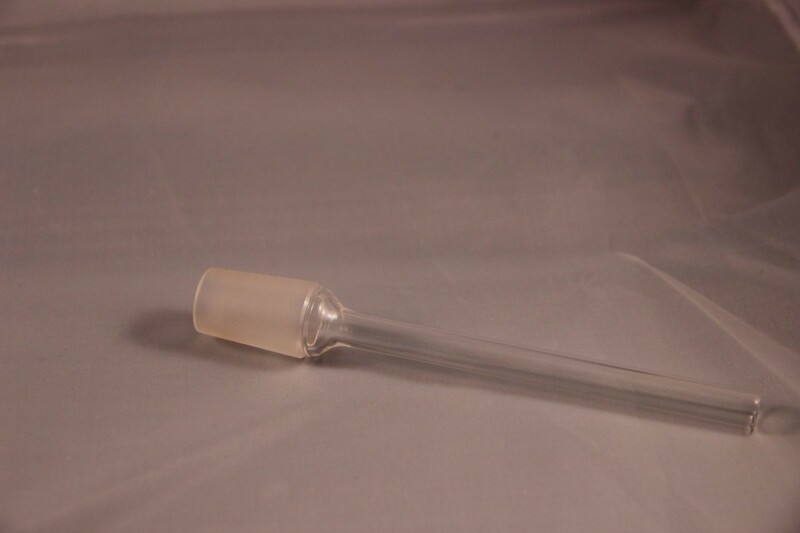 You'll be able to enjoy advanced vapor production with the water filtration device. Made from very high-class and durable glass it comes with the holder that will allow the vaporizer to remain in the up position. Provides direct access to the herb chamber for very quick and easy filling and stirring. You can choose to buy for the 14mm or 18mm sizes. 4.00 x 4.00 x 8.00 in.